Liqid and Intel® Optane™ PCIe Add-in-Card (AIC) solid state drive (SSD) solutions combine the unparalleled high throughput, low latency, quality of service (QoS) and endurance of Intel® Optane™ with Liqid’s industry-leading PCIe fabric technology to deliver higher user capacity and application performance. Achieving DRAM memory-like speeds, the Liqid and Intel Optane solution suite is available in capacities of up to 1.50 TB for high-value workloads. Our highly parallel architecture removes system bottlenecks. This performance lowers infrastructure cost while yielding higher performance. Liqid delivery the highest capacity Intel® Optane™ Technology solutions available on the market. Higher capacity density better utilize server space and dramatically improves TCO. Intel® Memory Drive Technology enables Liqid and Intel® Optane™ Technology PCIe solutions to be integrated into the memory subsystem and utilized like DRAM by the OS and applications. Presented as fully transparent memory solution that requires no changes to the OS or applications. The Liqid solutions also supports Intel® Memory Drive Technology software that extends system memory transparently. Intel® Memory Drive Technology integrates the SSD into the memory subsystem and makes it appear like DRAM to the OS and applications. As a fully transparent memory solution, no changes are required to the OS or applications. The Liqid solutions also supports Intel® Memory Drive Technology (IMDT) software that extends system memory transparently. IMDT integrates the SSD into the memory subsystem and makes it appear like DRAM to the OS and applications. As a fully transparent memory solution, no changes are required to the OS or applications. Liqid and Intel® Optane™ Technology U.2 solid state drive (SSD) solutions combine the unparalleled high-throughput, low-latency, quality of service (QoS) and endurance of Intel Optane SSDs with Liqid’s industry-leading PCIe fabrics to scale 2-4x the capacity and bandwidth. 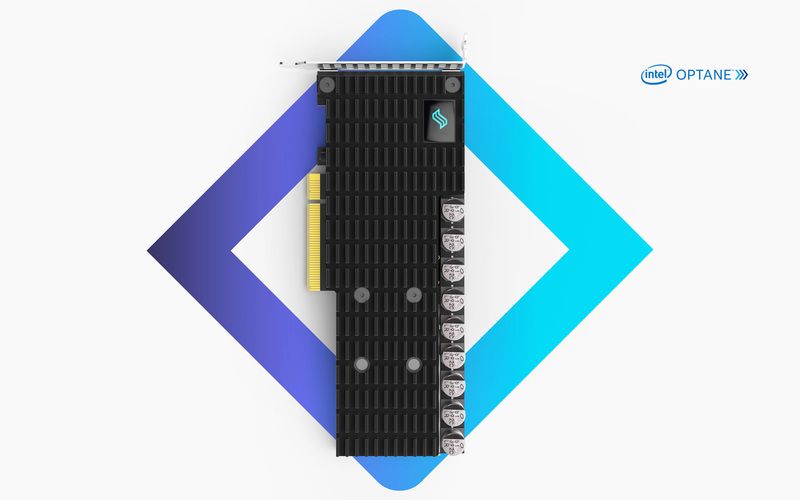 Liqid Composable leverages industry-standard data center components to deliver a flexible, scalable architecture designed for your application needs. Select from pools of disaggregated system elements to “BYO” bare-metal servers.